Arches papers aren’t just for watercolors. Use them also for drawing, calligraphy, gouache, printmaking, acrylics, and even digital printing. Manufactured from pure cotton fiber, they are so durable that they will remain beautiful and vibrant for centuries without conservation, if stored and handled properly. Many artists say they choose Arches because working on an inferior surface just isn’t worth the effort. And no other watercolor paper provides such a huge selection of sizes, surfaces, and formats for creative expression. This paper is the original Arches, sometimes known as Natural White. The choice of leading watercolorists all over the world, Arches is the product of five centuries of papermaking experience. You can rely on Arches to always be consistent. Arches watercolor papers are mouldmade in France, with 100% cotton fiber content. They are acid-free, pH-neutral, gelatin-sized, and air-dried. Sheets have two natural deckle edges, two torn deckle edges, and are watermarked and embossed. The 16" × 20" sheets have four deckle edges. See the Item Specs tab for gsm equivalent weights. Arches papers aren’t just for watercolors. Also Use them also for drawing, calligraphy, gouache, printmaking, acrylics, and even digital printing. Manufactured from pure cotton fiber, they are so durable that they will remain beautiful and vibrant for centuries without conservation, if stored and handled properly. 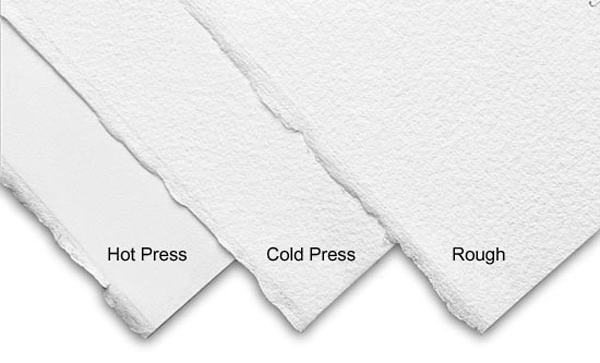 See why Arches is one of the world's leading watercolor papers. This video provides the viewer an understanding of the papermaking process and what makes Arches special in addition to its long history.